Saarbrucken, July 22, 2013. 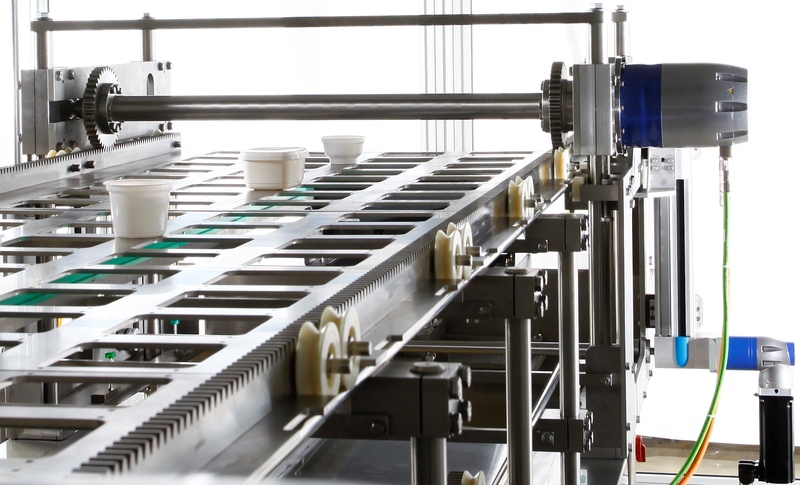 The patented “MultiFormat”, the chainless transport system designed by OYSTAR Hamba, increases the availability of machines for handling preformed cups up to 25%. 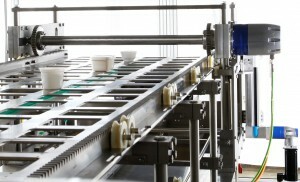 The automated format changeover results in an increased production time, caused by format change over time reduction. For example, a single person can handle a cell plate change without tools in less than 15 minutes. This makes it profitable to even produce variable seasonal and country-specific packaging formats on our tub filling machines. By minimizing the maintenance of the transport system, e.g. eliminated transport chain service and stretching, OYSTAR Hamba has reduced the maintenance costs for the machines. Reduction of the parts subject to wear and tear also ensures that your maintenance needs are kept to a minimum. The MultiFormat can be used in new machines and retrofitted into older ones in the BK series. The new drive system by OYSTAR Hamba transports preformed tubs up to 140 mm high and holding up to 2,500 grams. It can process up to 57,600 tubs per hour. The MultiFormat is lubrication free and thus it is ideal for use in hygienic conditions, such as the production of dairy products.